The voice on the phone was calm and analytical – no bluster or name-calling. Richard Lugar, a Republican who for 36 years held the U.S. Senate seat three candidates were seeking in the recent GOP primary, had been watching the campaign from afar. He observed that all three staked out similar, pro-Trump ideological ground, and speculated Mike Braun may have won because Todd Rokita and Luke Messer – both congressmen with similar records – split a majority of the vote. But Lugar noted there was another factor that may have made it difficult for voters to distinguish among the candidates. “All of them unfortunately came to a determination that very negative campaign measures against their opponents were the best bet for success,” he said. Just before the vote to determine who would take on Sen. Joe Donnelly this fall, the Lugar Center, the former senator's nonprofit study organization, issued its annual Bipartisan Index in conjunction with Georgetown University's McCourts School of Public Policy. 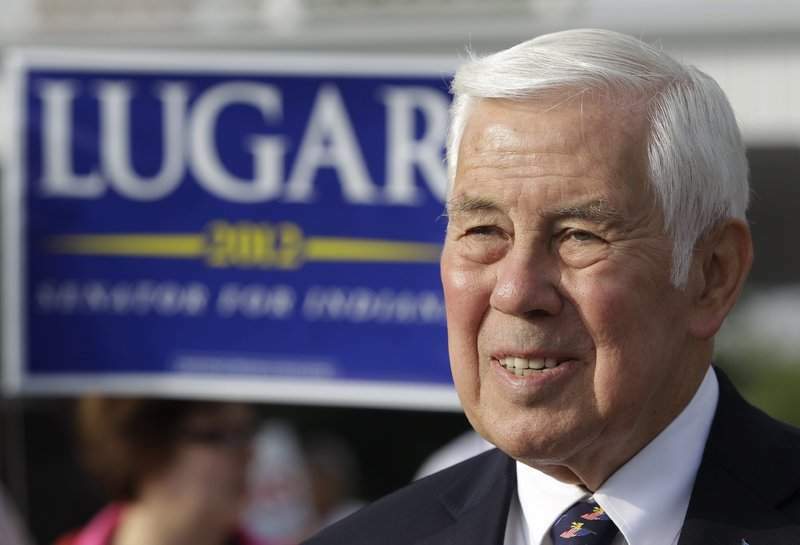 Interviewed a few days after the election, Lugar talked about his hope that members of Congress would rediscover the importance and effectiveness of working with members of the other party or a rival ideology. Though the primary was discouraging for those who value consensus-building, there was extraordinary news for Indiana in this year's index, which measures the number of times members of Congress agree to cosponsor bills written by members of the opposing party and how often they are able to get members of the other party to cosponsor their bills. Indiana was the only state with both senators in the top 10 for 2017: Democrat Donnelly was fourth out of 100 senators, and Republican Todd Young, in his first year as a senator, was ninth. None of the members of the state's U.S. House delegation did as well. “A very large number of Hoosiers as well as other Americans are very much concerned about the lack of progress in Congress,” he said. “It comes down to the fact that members of Congress are not visiting with each other across the aisle or, if they are, they have come to Congress with backing that makes it very difficult for them to do so,” Lugar said. Special-interest campaign contributions unleashed after the U.S. Supreme Court's Citizens United decision mean “they're not in a position to do very much compromising,” he said. Lugar again has something important to say to his former colleagues, as well as to voters. Let's hope they will listen.